Spend 4th of July in Maui! We have rented all our weeks around the Memorial Day weekend, but that doesn’t mean you still can’t have a star-spangled vacation in Maui this year. As of this moment, we still have 3 Ocean View rooms available at the Ka’anapali Beach Club around the 4th of July. 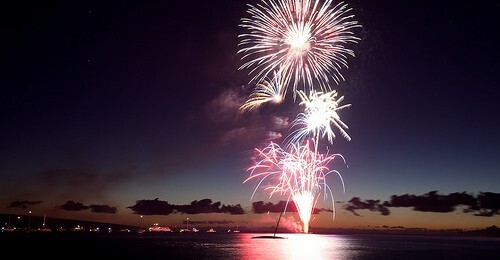 Maui activities around Independence Day are plentiful, but the highlight for many guests is the opportunity to watch the dazzling fireworks rise over the Pacific. The Maui Chamber of Commerce will be hosting the 12th Annual 4th of July Fireworks Celebration in Lahaina. Music and activities will take place all day, and fireworks will commence at 8pm. Pride of Maui will host their annual “Fireworks Over the Pacific” dinner cruise, departing from Maalaea Harbor at 6:30PM and returning at 9:45PM. Closer to the Ka’anapali Beach Club, the highly respected Trilogy will offer a more casual (and therefore, easier on the wallet!) 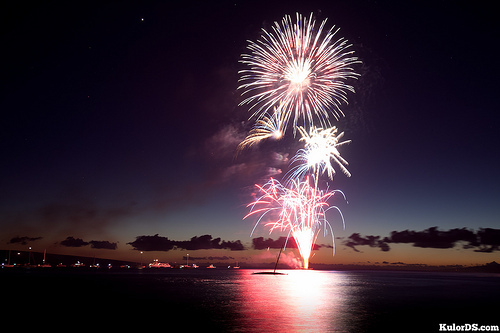 cruise with a great view of the Lahaina fireworks celebrations, departing at 6:30PM from Lahaina Harbor, serving burgers (build your own), snacks, and refreshments (2 alcoholic drinks for the adults are included in the price). Check our Rental Calendar and reserve your stay now!